As recently reported in the L.A. Times, the Los Angeles City Attorney’s Office is pursuing a new tactic to eliminate tagging and vandalism of public property. The “Metro Transit Assassins” (MTA) are the most notorious tagging crew in L.A. and are responsible for hundreds of acts of vandalism. Last year, seven of their members were charged with a half-mile long “MTA” scrawl on concrete banks of the Los Angeles River. To further prevent these acts from recurring, the city attorney filed civil injunctions on ten members. This would bar them from associating with each other, institute a mandatory curfew, and prevent them from possessing graffiti tools. The civil suit also seeks $250,000 in civil penalties and $3.7 million in damages for the 500 documented incidents of graffiti vandalism. Vandalism and tagging is a violation of California Penal Code Section 594, which makes it a crime to deface, damage, or destroy real or personal property. When the damage is under $400, then defendant may be subject to up to one year in county jail, $5,000 fine, and be ordered to clean and repair the damaged property. However, if the damage is greater than $400, the crime is a “wobbler.” This means that the defendant may be charged with a misdemeanor or a felony. A misdemeanor is punishable by up to one year in county jail; whereas a felony is punishable by up to three years in state prison. The defendant may also be fined up to $50,000 and be required to clean and repair the damaged property. The city attorney also has the power to file civil injunctions against these individuals as a part of the public nuisance abatement. Under California Penal Code Section 166, a defendant who violates a civil injunction is in contempt of court and is guilty of a misdemeanor. A conviction may be subject to up to six months in county jail and a $1,000 fine. If you or someone you love faces vandalism charges, it is of utmost important to hire an experienced Southern California Vandalism Defense Attorney. 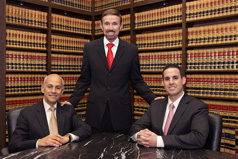 With over 30 years of experience, the attorneys at Wallin & Klarich understand the criminal legal system. Let our attorneys review your facts and present defenses on your behalf. Call us today at (888) 749 – 0034 or contact us on our website at www.wklaw.com. We will be there when you call.